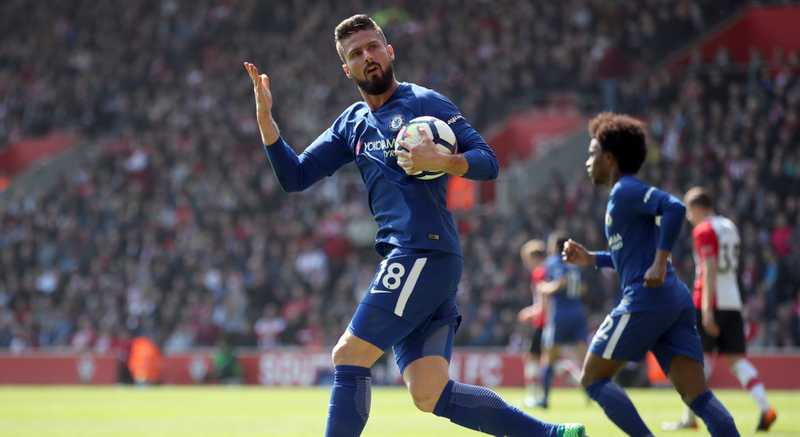 Lack of game time and soon to be out of contract: Should Olivier Giroud leave Chelsea? It's been just over a year since Olivier Giroud made his transfer across London from Arsenal to Chelsea and it's pretty fair to say it hasn't gone to plan on a personal level. The Blues paid £18m for the man who netted 105 goals in 253 for the Gunners and so far he's struggled to deliver the same consistency which has put his future in doubt slightly. The Frenchmen has scored 15 times in 52 appearances since moving to the blue half of the capital which has led to their hesitation to extend the 18 month contract he originally signed. 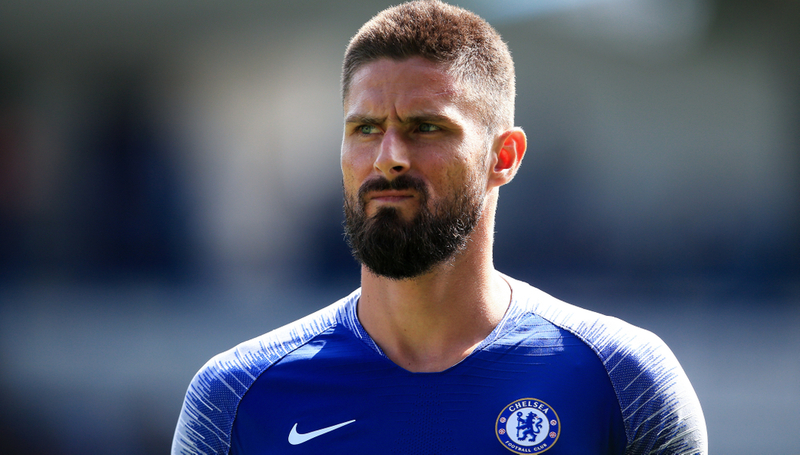 Chelsea's reluctance to offer deals to players over the age of 30 has been highly publicised in recent years and now at the age of 32, Giroud's future in London looks pretty bleak. He was originally signed by Antonio Conte, a manager whom he won The FA Cup with last term, but under the guidance of Maurizio Sarri he's found life very difficult. He began the campaign battling with Alvaro Morata for a spot in the starting XI and despite the Spaniard departing for Atletico Madrid in January, opportunities are still hard to come by. The arrival of Gonzalo Higuain at the back-end of the winter transfer window, a favourite of Sarri, has seen him restricted to appearances mainly in the Europa League - where he's been prolific. He's the leading goalscorer in the competition with 9 goals to his name but unfortunately for him it hasn't led to any starts in the Premier League. The last time he featured in a starting XI in the top flight came back on 30th December when the Blues rolled out 1-0 winners over Crystal Palace at Selhurst Park which speaks volumes. But Higuain is clearly in the driving seat at the moment despite scoring just 3 goals in 10 appearances and Giroud is visibly unhappy at his lack of action, especially with the form he's producing in the Europa League. When you think of the top strikers on display in the Premier League it's not often that Olivier Giroud comes to mind, which is criminal when you look at what he's achieved in the game. He boasts an impressive medal collection which includes 4x FA Cups, 1x Ligue and of course the World Cup after his exploits with France last summer. Now at the age of 32, he's still scoring goals and having a big impact on the team (when he plays) which is surely deserving of a new contract and minutes at Chelsea. During his time in the Premier League he's contributed an impressive 105 goals (77G 28A) in just 214 appearances - 22 of which have come off the bench in just 34 matches for the Blues. Giroud is a reliable goalscorer when given starts and he's also still criminally underrated for the role that he plays within the team. It's no coincidence that he's still a regular in the French World Cup winning team which boasts so many stars. He features ahead of the likes of Alexandre Lacazette and Alassane Plea which speaks volumes about what he has to offer to the team, with the pair in prolific form for their clubs this season. The 32 year-old plays a selfless role for the team whenever he plays. Strikers are usually judged on the number of goals that they score and that is something that he's done regularly throughout his career, but as he's got older his game has evolved. Giroud is a handful for a defenders with the way he shields the ball and brings his teammates into play - which has had a big effect at both club and international level. In Russia last summer we saw Antoine Griezmann and Kylian Mbappe flourish & dominate the scoring charts, but because Giroud failed to net there were fickle calls for him to be dropped - take him out the team and it loses a dimension. The 32 year-old is a target man on paper and he fits the build, he's big, strong and very dangerous in the air, but he re-defines that role slightly as he is much more than that. Olivier Giroud has built a reputation over the years not just for being a scorer of goals, but being a scorer of great goals. He has an eye for the acrobatic and is always capable of pulling off something sublime, as Arsenal fans will know too well. His scorpion kick against Crystal Palace for example is one of the best goals we've ever seen and it's gone down in Premier League history as one of the best of all time. At Chelsea he's found opportunities limited to produce something similar but when he has figured there's been promising signs that there's positive relationships on the pitch. He gives the Blues a real outlet in attack - something they lack in Higuain - and is a real bully to opposition defenders. His hold up play allows the likes of Ross Barkley and Matteo Kovacic to break from midfield and support the attack, along with the wingers. Chelsea's best player by some distance is Eden Hazard and he is just so crucial to everything they do. He's often been utilised by Sarri as a false 9 which just doesn't make the most of his sublime attributes, but when playing with an out-and-out centre forward in Giroud he's really flourished. Having a focal point in attack means that he plays with much more of a free role which enables him to do what he does best and really influence football matches. Hazard is able to cut in from the left on that right foot and cause devastating damage, leading to a significant amount of goal contributions. Despite playing through the middle on several occasions, the bulk of his goals come from when he's playing out wide and he would definitely prefer to see the Frenchmen start much more regularly. But the chances of it are looking bleak at the moment. Giroud is strictly limited to appearances in the Europa League and it's a competition he's really taken to, leading the scoring charts with 9 goals to his name so far. If his exploits on the continent can't land him a PL start ahead of the mis-firing Higuain then he can't do much more. It must be incredibly frustrating to sit out on the sidelines in the league when scoring goals in the EL and it's a mood echoed by the Chelsea fans, who want to see him given a chance. A RETURN TO FRANCE ON THE CARDS? Much has been said about Olivier Giroud's future but the prospect of him departing West London is looking increasingly likely by the week. His 18 month contract with the Blues is set to expire at the end of the season and Sarri or no Sarri at Chelsea come that stage, it appears that he could heading out the exit door. His lack of playing time under the Italian is clearly frustrating him and he's recently spoken out on his troubles whilst on international duty. Talking to French radio station RTL Giroud admitted that he's been discouraged by events this season. “Of course it's frustrating. I have the impression there is clearly no competition (for places) since January. It's like that, I know that I will only play in the Europa League. I try to do what it takes to be as effective and as important as I can for the team." You get the impression that Giroud has been defeated by Sarri in the meaning that he knows no matter what he does when he does pull on a Chelsea shirt, he won't get in ahead of Higuain. The Argentine is on big money at Stamford Bridge and is a long-term favourite of Sarri from their days at Napoli together, so the prospect of breaking into the team isn't looking too good. 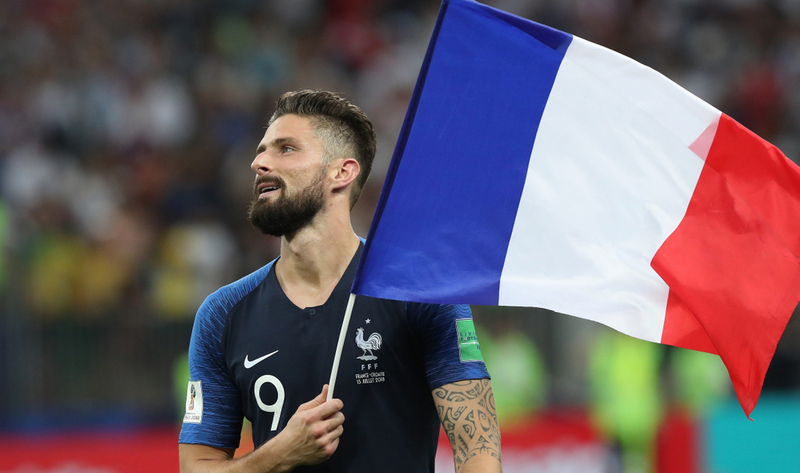 With Giroud now approaching the home straight of his career, game time is more important than ever and crucial if he wants to retain his place in the France squad heading into the 2020 European Championships - which is likely to be his last major tournament. A return to his homeland is being touted by many and it would certainly go down well with national team boss Didier Deschamps, who'd be able to keep a close eye on him. “The future may be hectic this summer. I’m not afraid to go down a level to have more playing time. It could be I end my career in France." Lyon is the club being mooted with a move for Giroud and it's certainly a move that would interest if his latest comments are anything to go by. "Lyon was mentioned because the president talked about it. I know what he is saying and I am very happy with the interest of some French clubs in my regard. It's a club with very good young players, very good players, a very good staff." "I also know that, in Lyon, they talk about certain departures. "Of course. I want to become important again, with the confidence of a coach." Either way, despite him nearing the end of his career picking up Giroud on a free transfer in the summer would represent fantastic business for any club in Europe and it's going to be interesting to see where he ends up. 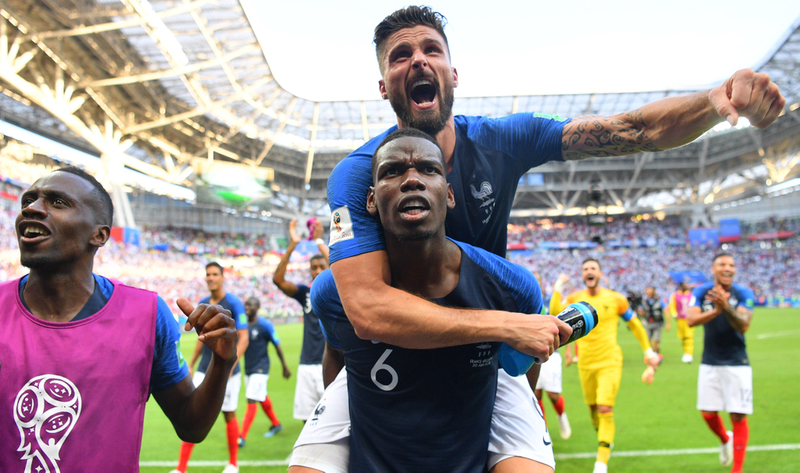 He's loved his time in the Premier League and London which was shown by switching Arsenal for Chelsea, but now a move back to France looks likely and it could provide the platform he needs to cement his spot in the France team for Euro 2020.